Paintless dent repair is commonly used to avoid more time consuming and expensive repairing methods. When you get a small ding in your car try repairing it yourself rather than hiring a professional auto repairer. Here are a few basic steps to follow. First of all inspect the dent. Some dents may be fixed easily while others may require more extensive repairing. Next acquire the tools you will be needing to carry out the repair. Most of the tools can be found in any home toolkit. The methods are simple ways which have however been deemed successful in cases of small dents. A basic method which could work is to place a piece of aluminum foil over the dent. Then, switch on a lighter and hold the flame right over the foil for half a minute or so. Then spray with some canned air for a few seconds. The sudden change from a high to a low temperature could help the metal change its form and the dent might be removed as a consequence. Wipe with a soft cloth to remove any traces. A similar method to apply a change in the metal’s temperature is to heat up the area where there is the dent with a hair dryer. Then, after about a minute spray the heated patch with an air duster. A layer of ice will form over the dent. When the ice begins to melt the dent should pop back and be fixed. Once the ice has melted up wipe completely dry with a soft cloth. Purchase a dent removal kit from an auto trader. Place the suctioning tool found in the kit over the dent you wish to repair. This is often in the shape of a cup, with a string at the other end. Basically you have to pull the string in order to apply the pressure in the space encompassed between the cup’s interior and the vehicle’s metal. Alternatively, if you do not wish to buy such a kit you can always use a plunger which is a common tool found in every home. If the dent is not complicated this will lead to the metal to pop back in place linearly. You may try to repeat more than once so as to try and achieve a bigger suctioning. If not successful, you can proceed to more extensive DIY paintless dent repair methods. Apart from the suctioning cup a dent repair kit will also contain a dent pulling tool. Place this over the dent. Then, pull hard so as to make the dent pop out. When this is achieved you may use a small hammer to push it back more linearly with the rest of the body as it may protrude a bit outwards at first. It is best to fix a board or a block of wood at the back of the metal while doing this. Unlike people who like to burrow underneath the sheets on cold mornings, cars are inanimate creatures – they don’t feel cold the way humans do. When you start your car on a cold morning and all you hear is a “click” and the indicator lights on the dashboard do not come on and the engine does not roar to life – don’t blame the weather. Check your batteries. Ideally, you should look at the terminals of your car batteries regularly. Make sure that the terminal caps are tight and do not wiggle free. Look at the terminal (there’s one with a + sign and one with a – sign). All batteries have a positive (+) and a negative (-) terminal. They are also usually color-coded so you don’t hook up the negative wire to the positive terminal (that will be a disaster!). Sometimes, your battery terminal is loose or it is corroded. Moisture and grime promote build up on the terminals and this causes corrosion on the battery terminal. Make sure the terminals and the terminal caps are clean. If you see deposits on the terminal that are whitish in color it might mean that battery acid is leaking out of the sealed battery and this batter acid is corrosive. It causes the build up around the terminal, preventing the electrical charge from travelling smoothly. Be careful, though, as the battery acid might cause burns. The leaking battery acid might also cause sparks that will short-circuit your electrical wirings and cause a fire in your engine. A car battery has a usual life of about two years depending upon the use of the car. If you use your car every day and you drive a lot at night, you might need to replace your car battery every two years. Remember that a car battery does not provide electrical power for your car. Ideally, the car battery is merely a storage unit for electrical power that is manufactured by the alternator. The stored electrical power in the car battery will provide the initial spark that will trigger the internal combustion when you start the car. After that, most cars run on the gas or diesel power and not electrical power anymore except for hybrid or electrical cars. Hybrid cars run on both fuel and electrical power while electrical cars run on purely electric power. All the electrical power generated by your car as it runs is made in the alternator. Your alternator contains an electromagnet that converts mechanical energy into electrical energy which is then stored in the car’s battery. 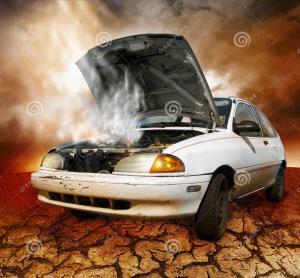 When the alternator is working well, as you drive around, the alternator keeps your car battery charged. If your alternator isn’t working properly, it won’t convert enough electrical energy to keep your batteries charged. The result is, while you are driving around with your headlights on, with the radio on and while you are charging your cell phone, your car will use up the stored electric power in the battery, thereby draining it. The electromagnet in the alternator converts mechanical energy into electrical energy by a high-speed rotation of a shaft. The shaft is attached to by a fan belt to another shaft in the engine. If the fan belt that drives the alternator is loose, it will make a squeaky noise. The squeaky noise comes from the fan belt sliding instead of it driving the alternator to rotate. When the alternator fails to rotate the mechanical energy is not converted to electrical energy. That explains the dead “click” in the morning when you start the car. Check the batteries regularly. Check into a garage and ask them to run a test on the batter to see if it is charging well. Have them check the fan belts for nicks and tears and even for moisture and grime as these affect its efficiency. Keep a log and remember when you had your car batteries changed. Manufacturers usually give a one-year warranty on a car battery. Checking the car battery regularly ensures that you maintain the validity of the warranty and you keep your car running smoothly. If you bought your car brand new and it is just three years old, chances are, it is still under the manufacturer’s warranty. A manufacturer’s warranty is only valid if you bring your car in for preventive car servicing every three months at the car dealer. Check out the owner’s manual in the glove compartment of your car. You’ll find a thick book that shows you the features of your car and also provides you with a schedule for when to bring your car in for its preventive maintenance. If you do not bring your car in for any of its preventive car maintenance checks, the manufacturer’s warranty will be invalidated. It is important that you keep to your schedule. The first maintenance check is usually after the first month and it is for tightening of nuts and bolts. The successive maintenance checks are also valuable as the oil is changed and all the fluid levels in the car are checked. This means that the coolant in the radiator is checked along with the brake fluid, the motor oil, the transmission fluid, and even the amount of water in the reservoir for the windshield sprinkler! If you’ve ever gone for an annual physical examination, you will probably recall that you give samples of your blood and urine for testing. The fluids in your body give a picture of the overall health and working condition of your body. It is the same way with cars: the fluid levels in the car give a picture of the overall roadworthiness and condition of the car. If too much coolant in the radiator has been used up, it might mean that there is a leak in the radiator hose or the car’s thermostat isn’t working properly. This may imply that when you operate the car, it is at a higher temperature than is recommended, thus some component parts may get warped or “baked” into place. If the brake fluid has been used up too much, there may be a leak in the brake hose, or the braking system isn’t working properly. The fluid check is very important – do not miss out on it. 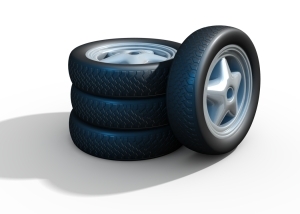 Aside from checking the tire pressure weekly, you can also check the wear and tear on the tires and rotate the tires. You can bring your car to a mechanic and have him check the wear on the tires. He will then take each tire out and replace them into a different place from the previous spot it used to be in (front tires may get replaced in the back tire wells or vice versa). This will ensure that the tires wear down at a fairly even and uniform rate. If you’re handy, you can do this yourself. Some cars are front-wheel drive (both of the front tires are driven by the motor when you run the car while the back tires just roll along as they are pulled by the front tires). There are cars that are rear- wheel drive: both the back wheels drive the car while the front wheels roll along as they are pushed by the back tires. SUVs are usually “4×4” meaning all the wheels are driven by the engine simultaneously; or they may be “2×4” meaning two wheels are driven by the engine simultaneously while the other two wheels roll along as they are pulled or pushed by the other tires. You can just imagine that the tires that “drive” the car are the ones that suffer more wear. Rotating your tires will ensure even wear on the tires. This will also ensure even handling as you brake. How can you tell when your tires are worn? An observant traffic cop will pull you over if you are driving around with “bald” tires. Bald tires mean that your car will have trouble stopping as there will be nothing that will maintain traction on the road. When the road is wet as when it has just rained, a car with tires that are “bald” or nearly “bald” will more likely skid and slip on the wet surface. You will lose control of your car when you apply your brakes. Yes, even the emergency “hand” brake will not keep the car from skidding out of control when your tires are “bald.” Bald may be beautiful, but this does not apply to car tires. The car’s tires are like a person’s feet. If your feet are sore or you wear shoes that have very little or no support at all, then you are likely to get injured. The same analogy applies to cars and its tires. The tires are the part of the car that touches the road. It bears the weight of the car and its passengers and cargo. Thus, it is the part of the car that is subjected to the most wear and tear. Checking it regularly may save you from expensive repair, and it can save your life. The tire pressure is measured in pounds “per square inch” (psi). This not only measures how much air there is in the tire, but it also measures how much that amount of air inside the tire pushes against the inner walls of the tires. To check how much air you should keep inside the tires, check the manual for the car manufacturer’s recommendations. If your car isn’t brand new or if you’ve changed your tires before, the recommended tire pressure should be embossed on the tire itself, near the rim. Stick to the recommended tire pressure: too low tire pressure means more drag as more of the tire touches the road, there is more friction, and thus, more rubber gets eroded as you drive your car. If the pressure is too high, your ride will be too “bouncy” and only the middle of the tire surface will touch the road. Either way, the wear on the tire will not be even and it will affect how much gas you consume: drag makes you push harder on the gas pedal, increasing the consumption of fuel to simply propel the car forward. When you are planning to take your car on a road trip cross-country, a little planning and foresight is necessary. Since you will be driving your car to a destination that may be unfamiliar to you, it pays well to get your car looked at to see that it is not only roadworthy, but also to give you peace of mind that you have done your best to make sure that your car won’t suddenly cough and sputter and just roll over and die on the side of the road somewhere. Take a penny and slide it in the grooves. If the grooves are not deep enough to bury the penny up to half its height, your tires are too worn to survive a cross-country road trip. Change your tires. Some people check the tires that are attached to the car but they forget to check the spare tire that’s sitting in the trunk of the car. You also have to get that checked to see if it has proper tire pressure and if it is not too worn down. Nothing is more annoying than to get a flat tire and to learn that the spare tire in the trunk is also flat. You won’t be able to limp your way to the nearest service station. 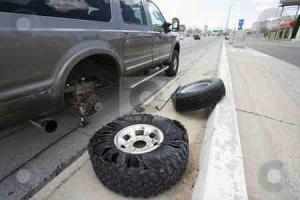 Worse, an unexpected expense like this can upset your road trip plans. Check the oil. Better yet, get an oil change. Change the oil filter and check the air filter. These things keep particulates from accumulating in the oil making it too thick and viscous that it won’t lubricate the engine properly. If you are in the habit of getting a periodic oil change, then all you have to do is to ensure that you have enough motor oil. Locate the dipstick. Take it out and wipe it clean. Then put the dipstick back in and take it back out. You will see the level of oil in the engine. There is usually two indicators for minimum and maximum. By checking the oil, you will also see if it is clear or murky and filmy. Clear oil means it is still clean and thus, your car engine is in good working order. When the oil is dark or murky, chances are, you need an oil change. When there is a whitish film on the oil – that means water has mixed with in with the oil and that could spell major trouble. Make sure that in your emergency kit in the car. Don’t just pack a first aid kit. Also pack in a can of motor oil, a can of automatic transmission fluid and a can of brake fluid. It just might save your car and save you a headache while on the road. It also will not hurt to have an empty gas can in the trunk just in case you run out of gas and you need to hike to the gas station you just passed to purchase enough gas to drive back to the gas station and fill up. Make sure you pack a flashlight with extra batteries. Make sure you have your reflectorized early warning device (you should have a pair) to put in front of and in back of your car as you are stalled on the road. Make sure you have a fire extinguisher in case of engine or fuel fire. Pack some flares in case you are in real trouble and someone is badly injured. Make sure that the pliers, a screw driver, lug wrench, cross wrench and jack are all in the trunk and they are all in good working condition. You never know when you might need it. Also, a set of jumper cables can help you get your car started if your battery suddenly dies on you. Check your headlights, signal lights and tail lights. Make sure that your front and rear windshield wipers are working properly. Check to see that the utility light in the trunk and the map light in the car are also working. Checking the windshield wipers and sprinklers will ensure that visibility on the road is maintained. You do not want to be pulled over and issued a traffic ticket for broken or faulty lights. You also might want to get your car battery checked as these lights depend upon battery power when you use them. You also will not enjoy sitting in your car on the side of the road in the dead of night being eaten alive by mosquitoes as you wait for a tow truck because your battery is drained. If you don’t have time to check all this out, and make the appropriate changes before your trip, I recommend and have has great success traveling with long distance transportation companies. One in particular I like and have worked with before you can find here: http://www.longdistancedrivingservices.com/. It’s kinda a last minute resort, if you can’t fly or drive yourself. But it’s a fun experience, and you get to be on the road. If you’ve had a decent driver’s education, you would know that it is the car owner’s responsibility to maintain the roadworthiness of the car he drives. Driving a car is not a right, it is a privilege. Only persons who can fulfil the obligations required by law for operating a vehicle are given a license to drive. Keeping a car roadworthy is one such obligation of car ownership and car operation. A person cannot just keep driving his car until it falls apart in the middle of the road. A car’s registration is periodically renewed as this is the opportunity for government agencies such as the Department of Motor Vehicles to determine a car’s roadworthiness. Maintaining your car is beneficial for you. A car which is well-maintained will seldom get into accidents caused by equipment malfunction (faulty brakes, brakes that do not deploy, etc.). There is also less risk for a car to be pulled over because a police officer happens to see wires sticking out from under the lid of the trunk, or under the trunk. There will be no traffic citation or traffic ticket for a busted tail light or a signal light that isn’t working. Keeping a car well-maintained also means that if you are suddenly in need of money and find yourself having to sell your car, you can get a good deal because your car’s resale value is not lowered by obvious signs of wear and tear – or signs of neglect. When a car is roadworthy, it is suitable and safe for use on public roads. A car is suitable for use on public roads when its condition meets the requirements for being used on public roads – it runs smoothly without endangering the lives and wellbeing of its driver or passengers. This also means that a car is safe to ride in and it does not put other motorists or pedestrians at risk of injury. In some states, before a car is allowed to be registered or before it is allowed to renew its registration, a car owner must submit his car for roadworthiness inspection and the car must obtain a certificate of roadworthiness.